We have just returned from our last trip of the season on a Komodo Liveaboard, to the world famous National Park. Once again we had a fantastic trip with some really nice people. For this trip we had an itinerary starting and ending in Bali. This kind of itinerary offers the great advantage of not having to take an additional plane to reach Komodo. Our chosen vessel for this trip was the Mermaid II Liveaboard, which is powered by two engines offering a very good cruising speed to cover this itinerary. This was the 3rd time we have used the Mermaid 2 vessel and we were very happy with the quality of service. The boat was in great condition and there were many familiar faces on the crew. 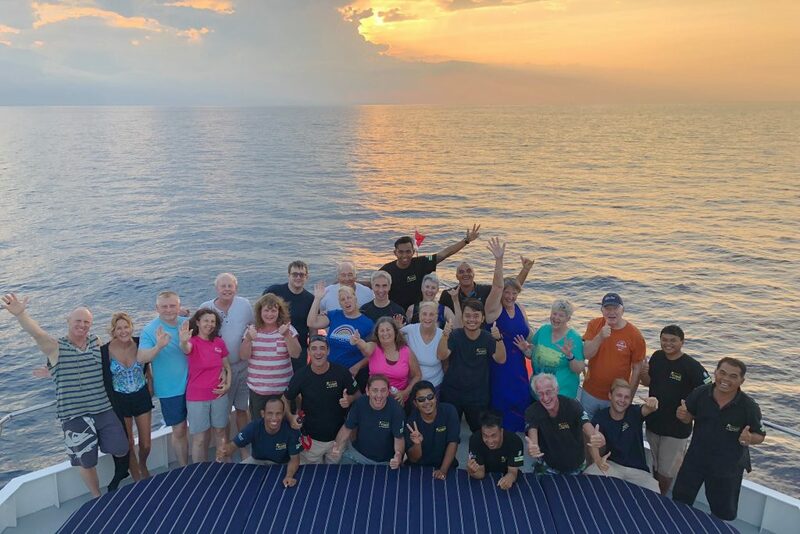 We were very happy to have several returning guests on this trip who once again could enjoy a beautiful trip to Komodo. We also welcomed a great bunch of new comers who were thrilled to begin a Komodo liveaboard adventure. With a 7 night/8 day itinerary, we had the opportunity to visit most of the iconic sites in the Park. 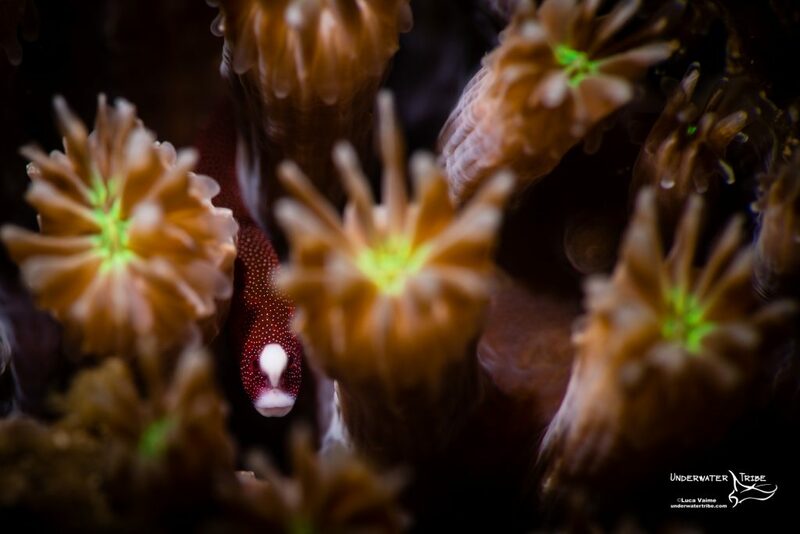 We had a great mixture of marine encounters from tiny pygmy seahorses to giant manta rays. This trip was led by Underwater Tribe member Luca who ensured that we could dive the best possible sites according to conditions. Here is a short run down of the places we visited and what we encountered during our Bali to Komodo National Park trip. We arrived on the Mermaid II Komodo Liveaboard by 14:30 and left the harbour an hour later for an overnight cruise to West Sumbawa. On this day we spent the time setting up our underwater camera equipment and received a very detailed briefing about the vessel and the safety procedures. We have arrived at Moyo Island in West Sumbawa in the morning and at 9:30 am for the first dive of the trip. We dived at Angel Reef, a sea mount with a sandbar at the surface. It’s a great location to start with as the currents are generally mild and the sea is calm. We saw a few sharks including a white tip and a black tip, lots of banner fish and a small pygmy seahorse. A few guests were also lucky enough to encounter the beautiful decorated dart fish. Once the dive was over we moved further east to Satonda Island. At Satonda we made an afternoon and a night dive. We found plenty of interesting critters like the pughead pipefish, a frogfish, and stargazers. As soon as the night dive was over we motored overnight toward Komodo Island. Around 8 in the morning we arrived in the Komodo National Park at the north end of Komodo Island. We made a dive at the beautiful reef of Monco Bay. During the dive we found a white tip shark, a few turtles, lots of glass fish around the coral blocks, and a few leaf fish. For the second dive we moved to Crystal Rock and had a very nice dive with lots of fish and a few sharks. On this occasion, given the strong current, we opted to dive the protected side of the reef and had a great dive. We then moved the Mermaid II to the Lintah Strait and dived the island of Tatawa Besar. We had nice mild conditions and we drifted over the beautiful corals of this reef. The highlights included a lot of turtle encounters, including one eating coral. The night dive was further south near the famous Pink Beach at Soro Lia. 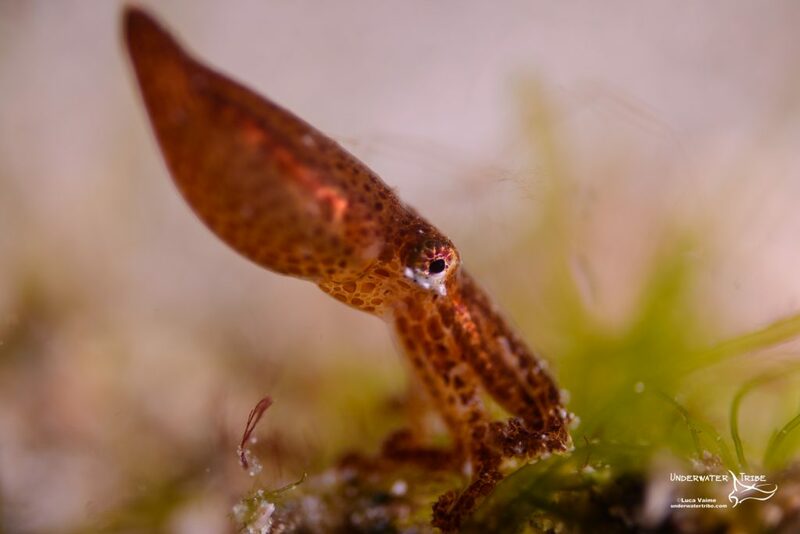 We found plenty of great critters including a very cool octopus and a few frogfish. We spent the night anchored at Soro Lia with it’s calm conditions. Early in the morning, we raised the anchor and headed south to Manta Alley. We expected to have cold water and low visibility, instead we had the warmest water of the trip plus 30meters of vis. We didn’t encounter a huge amount of mantas but we did see a few individuals swimming and visiting the cleaning station. 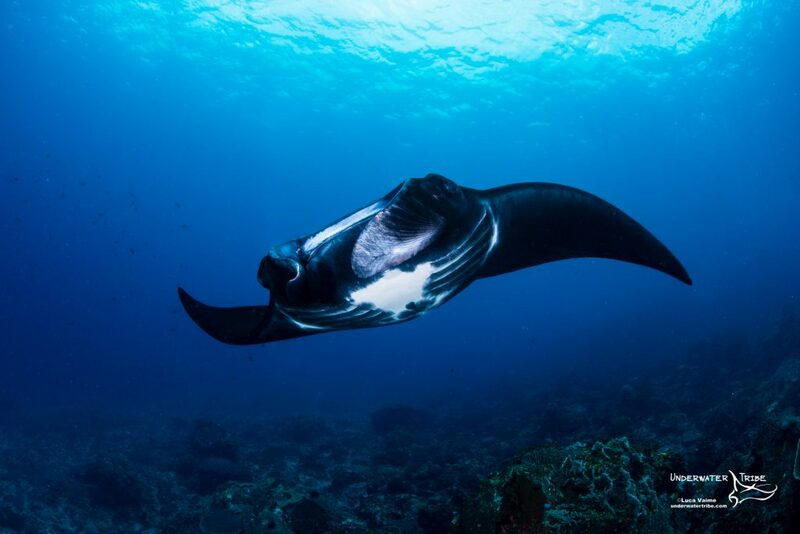 The second dive was also at Manta Alley. Once the dive was over we sailed east to south Rinca Island at Horseshoe Bay. At Horseshoe Bay we enjoyed a beautiful third dive at the famous dive site called Yellow Wall. We found plenty of critters along this wall including several ladybugs amphipods. The night dive at Torpedo Alley didn’t disappoint and one of the highlights was a juvenile Pompano fish in the water column. Once the night dive was over we navigated a couple of hours north to the top of Rinca where spent the rest of the night. Around 5:30am we raised the anchor and made our way back north to Gili Lawa Laut. The falling tide was perfect for diving the iconic site “Shotgun”. We had a beautiful dive with lots of Giant Trevally and a couple of Manta Rays to boot. For the second dive we went to Siaba Kecil and had a nice and long drift along one of the most beautiful hard coral reefs in the park. We then moved back where we spent the night at Wainilu and gave the option to dive the muck dive at Wainilu or take a walk to the ranger station in Rinca. Given the fact that we encountered dragons the day before in Horseshoe Bay, most guests opted for the dive. Those who went on the land tour had a great hike and found water buffalo, monkeys, deer, and even a dragon digging at a bird nest in search of food. The night dive was at Wainilu we found plenty of different kinds of nudibranch as well as zebra crabs in a fire urchin and hairy shrimp. Very early in the morning we started our journey back westward and arrived at the island of Banta at 7:30 for our first dive of the day. We did a nice easy dive at K2 where we found plenty of leaf fish and a few mushroom coral pipefish. At this site there are also a few colonies of tunicates which look like human faces. Once the dive was over we moved north west to the active volcanic island of Sangeang. Our first dive was at “Bubble Reef” which is aptly named due to volcanic bubbles rising out of the sand. We found a really nice big yellow frogfish on this dive plus pygmy seahorses and many nudibranchs. For the third dive we dived a nice blue water muck dive at Techno Reef. There were many interesting nudibranchs including the tiny “Shawn the Sheep” nudibranch. 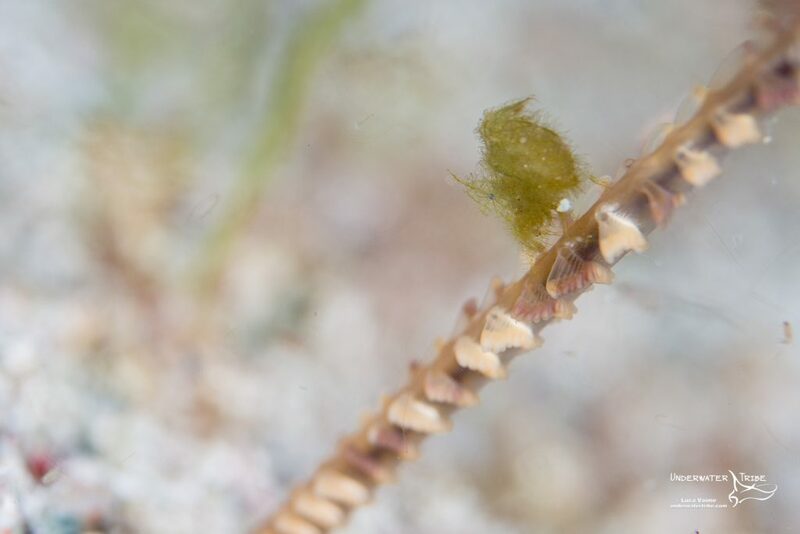 We also found several ornate ghost pipefish and a beautiful green and purple rough snout ghost pipefish. The night dive was at Bonto where we found many critters including frogfish, harlequin shrimp, and other interesting crustaceans. Once the night dive was over we started an overnight journey back to West Sumbawa. 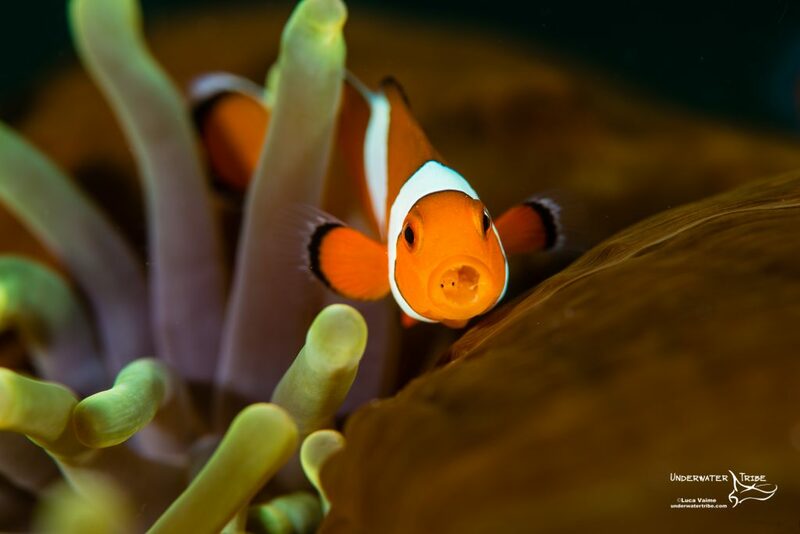 During the last day of diving of our Komodo liveaboard trip we were back in West Sumbawa where we started. This time we dived Sumbawa Wall for the first dive where we once again found a tiny pughead pipefish. The second dive was at Angel Ridge where we had a great dive in nice blue water and easy conditions. We all saw a few sharks and had a great dive to finish this wonderful Komodo liveaboard trip. 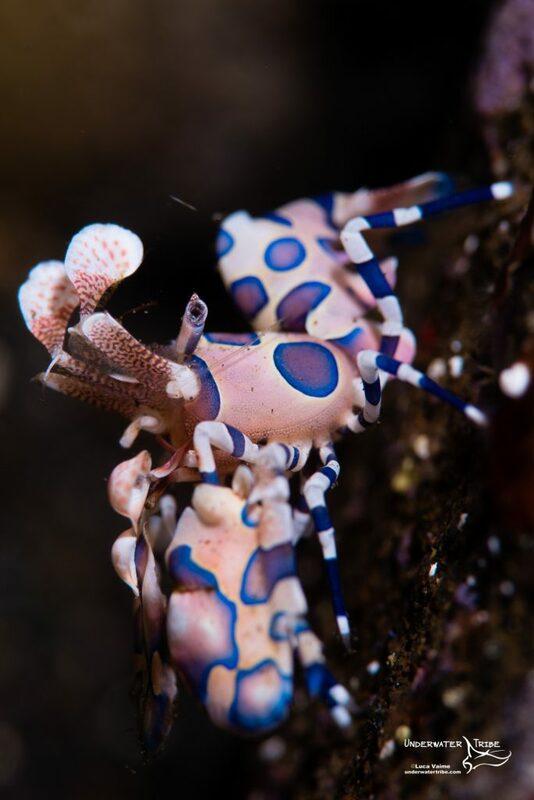 The pictures in this report were taken by Luca who focused on the beautiful macro critter life that can be found on the Bali to Komodo itinerary.